Big face, LOOKS MUCH BIGGER THAN IT IS, luscious luster, 1.33c. This ruby was cut from a natural ruby crystal which was mined from the famous Mogok stone tract. 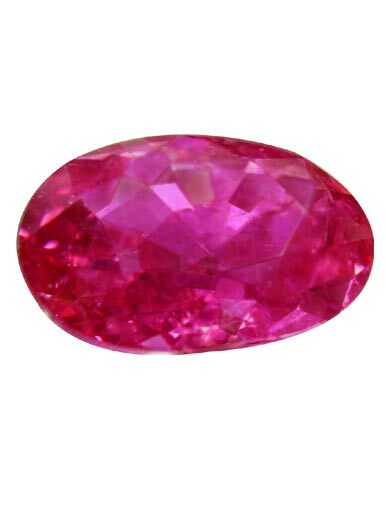 This ruby looks like a 2 ct. ruby with its big face yet this gem does not show a window. With alluring beauty this ruby is perfect for a jewelry project. Approximate dimensions are as follows; mixed cut oval shape 8.1 x 5.6 x 3.4 mm and weight is 1.33ct. This ruby comes with a copy of the independent lab identification report. Ruby is the most valuable gem in the Corundum family. Rubies are said to inspire creativity, wisdom, love as well as enhancing self confidence and increase spirituality.